Welcome to the twitch panel maker by twitch-designs. With our tool you can create custom titled panels for your twitch streaming channel. Any best of all: it’s completely free! Simply write your text in the textbox below. Your input automatically generates a panel for you in the background and shows you. To save it on your computer, just use the right-click -> save as function. Currently there is only one template, we strive to expand this soon. I hope this could help some twitch beginners. Help! I do not see a graphic: If you do not see the graphic due to your browser, just type in your desired text in the textbox and wait a few seconds. A professional appearance is one of the most important elements for your stream. Remember that approaching random people for conversation is an amazing skill to have. Your twitch channel should always look very professional, especially as a beginner. With our free Starting-, BRB- & Ending screens (so called “intermissions”) we want to help you and your channel. 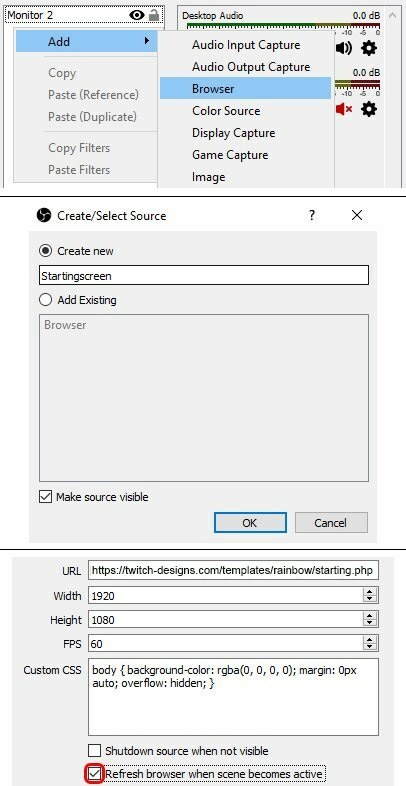 How to set this up using OBS Studio can be found at the bottom of the page.